Cadillac Tax -- Should employers be making changes now? The Affordable Care Act (ACA) has brought about many changes in employee benefits. Plans have been eliminated, benefits added, rules changed, and rules have been delayed. The ACA has always been a heavily debated topic between the Republicans and Democrats, and now that we are coming up to another presidential election we know that we can expect it to be talked about quite a lot. Some speculate that the Republicans will attempt to repeal the law, again, but the truth of the matter is that the ACA is bringing in too much revenue for a repeal to be successful. The Congressional Budget Office (CBO) projections there will be $353 billion dollars in revenue from the ACA over the next 10 years. This means that in order for the Republicans to be successful in repealing any part of the law that generates revenue, they will need to find a way to replace that lost revenue. What are ”other sources?” The CBO believes that there will be an increase in income taxes due to employers that reduce employee health plans in order to avoid having to pay the Cadillac tax, and in turn raise their employees’ wages to compensate. If this scenario were realistic (although reducing benefits due to the rising cost of premiums without any increase in wages seems to be more realistic), we should see employers begin to modify their plans in anticipation of the Cadillac tax in 2018, and then a significant increase in salaries. But will employers act sooner? If the Cadillac tax were to be repealed by Congress, it would most likely happen in 2017 after the presidential election. 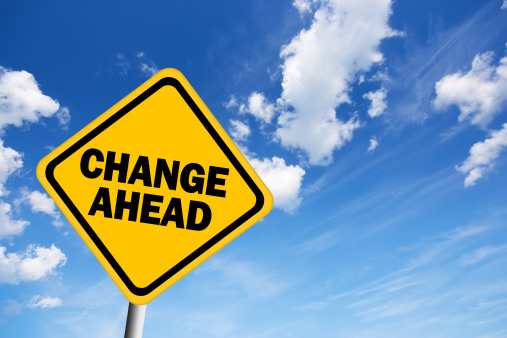 The question then becomes when should employers make these changes? Do they make them now, live with the potential for the Cadillac tax to be eliminated, and their payroll will just remain higher? Or do they wait to make those changes until 2017, the year before the tax goes into effect? As if another tax were not bad enough, the 2015 UBA Benefits Survey shows that, if some employers were to reduce benefits to avoid the Cadillac tax, they would no longer be able to offer a plan that meets the ACA minimum value requirement. It seems hard to believe that a plan could have premiums that are more than $10,200 annually for one person yet have an actuarial value of only 60 percent. And with the ever-increasing cost of health care, premiums will only continue to rise over the next three years. More and more employers will have to make difficult decisions about their benefit plans. There is hope that legislators will add an actuarial value safe harbor into the Cadillac tax provision so that employers who are offering a plan that meets an actuarial value of less than 90 percent will be exempt from the Cadillac tax. Otherwise, an applicable large employer that is subject to the ACA’s “play or pay” rules may have to pay the Cadillac tax, and will also be fined for not offering a plan that meets the minimum value requirements. Read UBA’s latest press release for the percentages of employers likely to be subject to the Cadillac tax broken down by actuarial value. Download the free 2015 Health Plan Survey Executive Summary for additional information on health plan cost trends across the U.S., including employer contributions and costs for employees. To benchmark your plan against others in your region, industry or size bracket, contact a UBA Partner near you to run a custom benchmarking report.